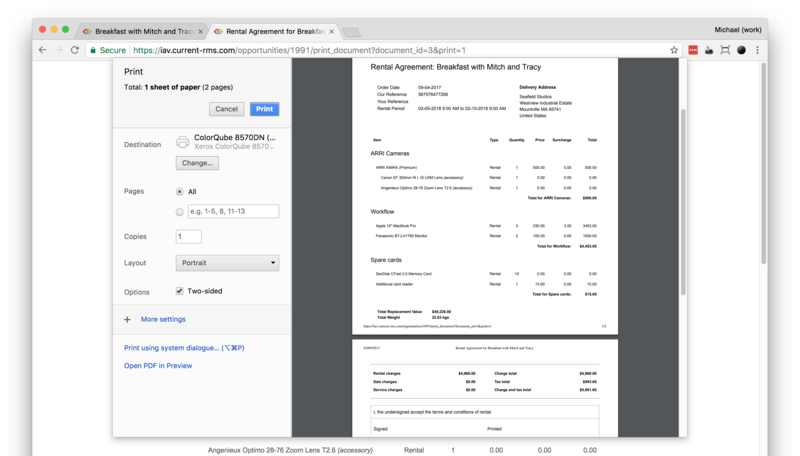 Current RMS comes with a bunch of documents to help at each stage of the rental cycle. You can print easily from the Print heading on an opportunity. You might know these documents by other names, check out our guide for a quick run through: What are each of the documents for? After you’ve put together your opportunity items list, you’ll find documents available to view under the “Print” heading on the details pane. Click a document to open it in your browser. 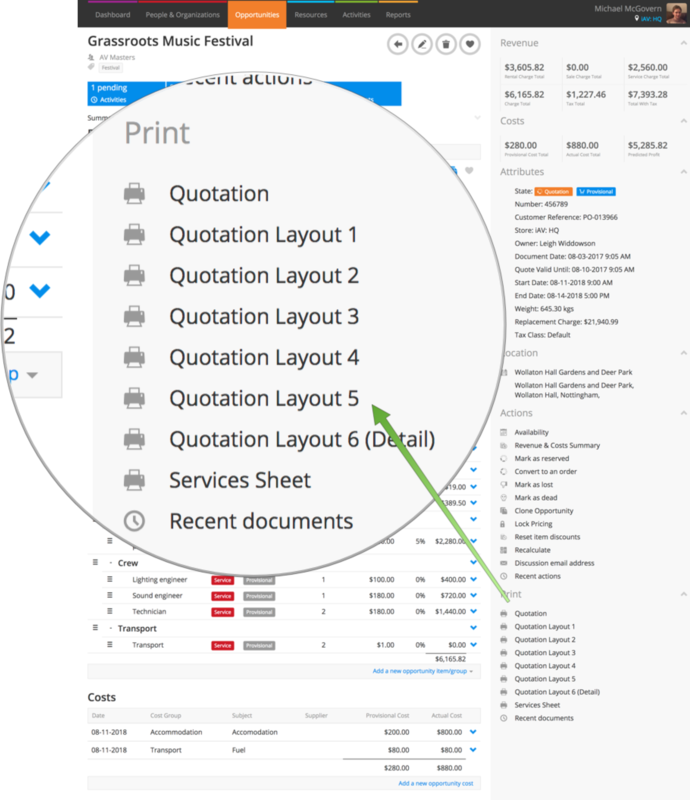 Hit Print friendly version to access a version of this document that’s optimized for printing from your browser. Your browser’s print dialog should open automatically, but if it doesn’t then hit File > Print as normal. ⚠️ When using the print friendly view, some print settings may be handled by your web browser or printer. For example, some web browsers do not print background colors and your printer settings may determine the margins on your document. This is outside of the control of Current RMS. If you’re having trouble, review your browser and printer settings or print from PDF. Click Download as PDF to open a PDF of this document, suitable for printing or saving to your device. Printing from the PDF is the best way to ensure that what you see on screen is what’s going to be printed on paper. PDFs are also fairly standard and can be viewed on most devices. Need a copy of all items or assets on an opportunity as a spreadsheet? 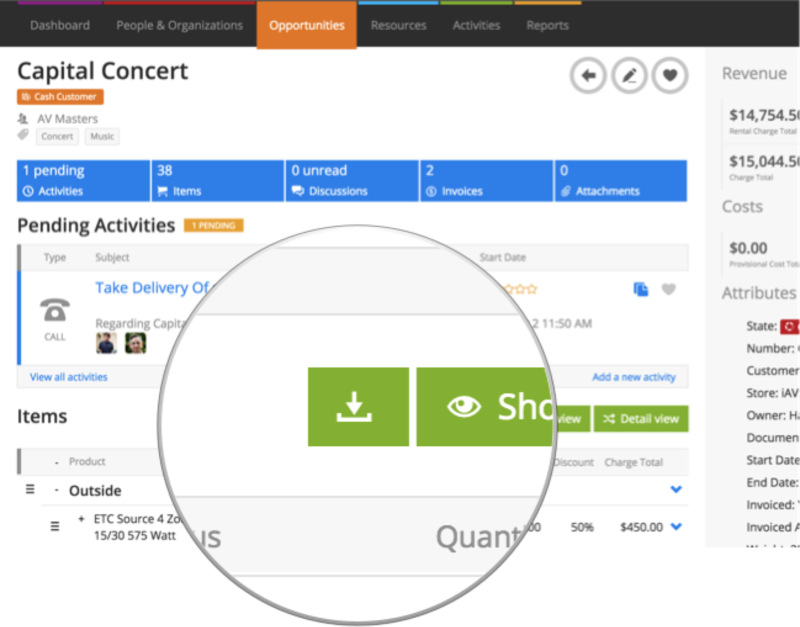 Use the download button on the order view or detail view to grab a copy. Can I change the default file name for PDFs? The default file name is the opportunity name, number, and an internal ID that Current uses for the opportunity. There’s no way to change this right now, but you should be able to change the filename in your browser when you save. Want to change your documents or use other documents? There’s a variety of documents included in Current RMS that you can enable in System Setup > Document Layouts. This is also where you can change your documents.